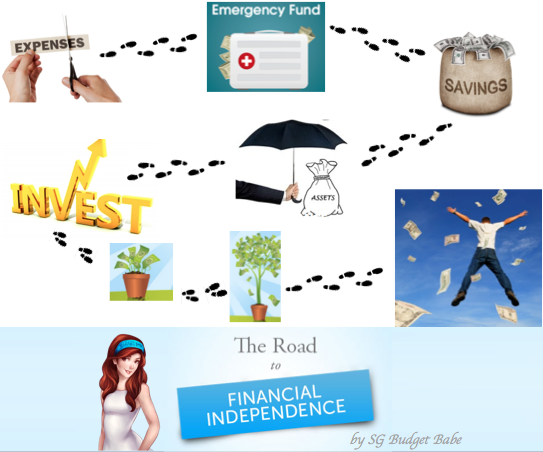 The road to financial independence isn't easy, but it isn't difficult either. 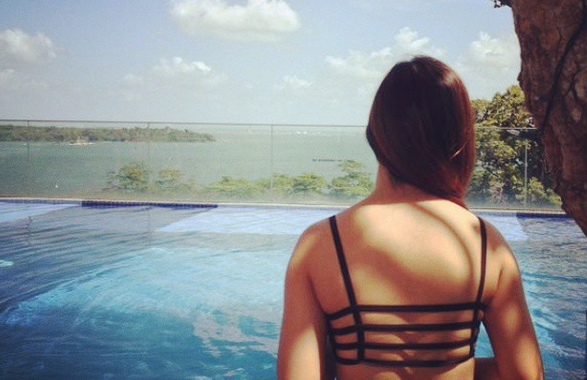 It has been close to 1.5 years since I started writing about finance and lifestyle in Singapore as Budget Babe. In all this time, much ink has been spilled and much breath has been spent talking about the topic, and the elusive goal of how a young adult can start on the right foot towards achieving financial independence. As such, I've decided to consolidate all the posts written so far, to provide a cohesive summary. You can click on the posts linked to read for more details on each sub-topic. No one wants to be stuck in the rat race forever. Imagine if you were free to do whatever you liked and pursue whatever dreams you have, without having to worry about money or the bills for a moment. If you're a fresh graduate out of school and new to the workforce, here's how you can start. Too many people talk about wanting to achieve financial security but never really do the homework required to get there. Don't be one of them. The CEO of Alibaba, Jack Ma, believes that if you're still poor at 35, you deserve it. I can't say I disagree with him. I like to keep things simple, so my personal mantra consists of just 3 steps: Build Income + Protect with Insurance + Invest to make your money grow more money for you. A great place to begin would be to take on the BB Reader Challenge here. To help you out, you can download this free checklist, or claim a free financial pack which includes 2 e-books on saving and investing. In fact, why stop at this challenge alone? Aim big! 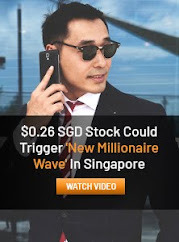 In 2015, many Singaporeans set a target of achieving $100,000 in their net worth by the time they hit 30, bookmarking this post for reference, and you can definitely achieve this too (even without a cushy job in banking or finance)! We'll be wise to learn from the experienced, and avoid these mistakes that financially-savvy people will never make. Go a step further and learn about the different money habits that set apart the rich vs. the poor, to set yourself in good stead for a financially-free future. Cut your expenses by 20% within a month - can you do that? If you're finding that too difficult, then start small. For instance, try eating at home as much as you can, or pack homemade lunches to the office so you can avoid expensive CBD-prices during mealtimes. Look out for these ways you can save on your grocery shopping while shopping for ingredients for your meals. While you budget, take note that cheap prices aren't necessarily a good thing. Is 75% off a good deal? Instead of focusing on price savings, try to consider the utility cost of the item instead before you make any purchase. There are some items with high utility that are worth spending on, versus some items whose price tag just doesn't give you enough value in return. Paying $59.90 for a second pair of your favourite shoes in a different colour isn't quite worth it, if you asked me. Some of us find it hard to save money without compromising on our social life. If hanging out with some friends are making a huge dent on your wallet, here's how you can say no without losing the friendship. Now, what about fixed costs, like monthly bills? Consider cutting out bills that you don't really use much of, such as your cable TV subscription. For ongoing costs that you can't avoid, like your handphone bill, try switching to a cheaper mobile plan. Use the ongoing telco price wars to your advantage: if you're a heavy data user, the latest provider Circles.Life might give you more bang for your buck. 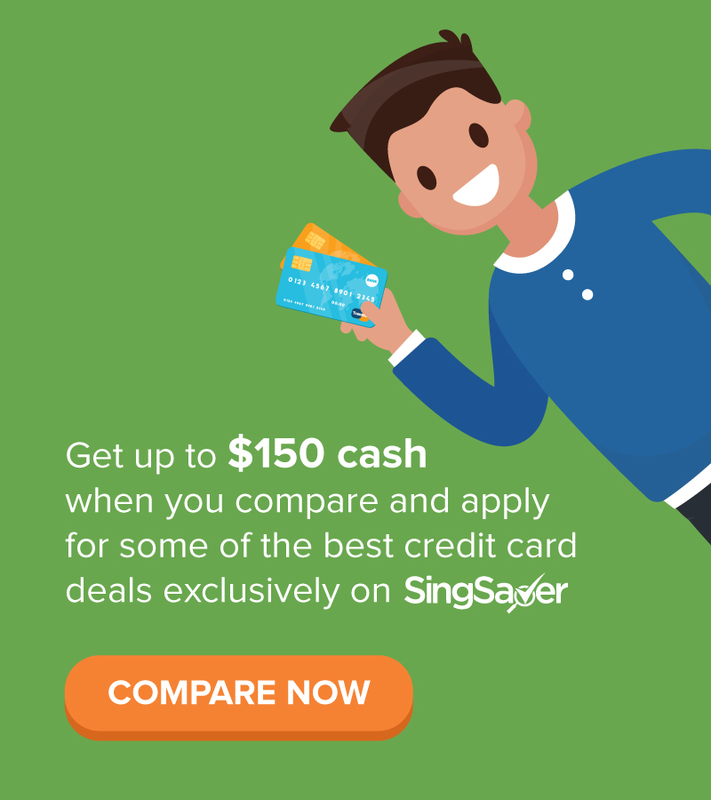 If you spend a lot of your time talking on the phone, compare the prices among our incumbent telco providers SingTel, StarHub and M1 to find the best value plan for your budget. I'm not being sexist, but it is true that women do tend to find it harder to save as compared to the men, because they feel inclined to live up to societal expectations as a female, which includes high personal grooming and image-maintenance costs. Have you ever stopped to wonder how much money might be hiding in your wardrobe alone, for instance? Or what about your habit of buying new makeup when you're not even done with your old colour palette? Stop spending so much on facials and expensive skincare fads that don't work. Yes, looking good is important, but you can easily make some easy and inexpensive lifestyle changes to prevent breakouts instead. They're much more effective in the long run, too. After you've cut down on your expenses where possible, the next thing you want to do is to clear off your debts, especially high-interest debts like your credit cards and your tuition fee loans, since they form a huge bulk of your monthly expenses. If you're still shouldering your college loan, here's what you can do to minimize the interest amount you're paying to the bank within the shortest time possible. Congrats on successfully clearing the first step! You've probably realized the change in your lifestyle habits and attitude by now, which will serve you very well for the rest of your life (and wealth journey) from here onwards. Since you'll never know when your life savings could get wiped out by an unforeseen incident, do build up your emergency fund in order not to let anything derail your wealth journey. I recommend 3 to 6 months worth of living expenses for a start. Consider parking this sum in the Singapore Savings Bond to earn extra interest while having the option to take your money out at any given time. If you earn anything upwards of $2,500 a month, try challenging yourself to see if you can save $20,000 in a year. Here's how I did it, together with some tips you can implement to achieve this for yourself, and 7 areas to start looking at if you're based in Singapore. Even while you save, there are people out there who might want to capitalize on this and try to scam you with saving deals or coupons. Keep alert and don't fall for such tricks. While your savings grow in the bank, shop around for good savings plans that offer you higher interest rates on your money, like the UOB One account. Most financially-savvy Singaporeans would already be on the OCBC 360 by now, but once you've saved more than $60,000, move the money into another savings account to really maximize the interest you can earn. BOC SmartSaver and the POSB Cashback scheme are also great accounts to consider growing your money with. In the meantime, you're probably groaning about the pain of seeing your hard-earned money be forcefully put away in your CPF account. But since we can't run away from CPF savings, why not maximize the scheme and get free money from the government with this nifty trick? Look on the brighter side! If you think working hard at your job so that you can rise up the career ladder and earn lots of money is enough, then I'm sorry to dash your dreams, because being an employee alone will never make you rich. Public transport is Singapore is pretty fantastic and convenient, if not, there's also the option of taxis anytime. Think seriously about ditching the car, as it can potentially make you a multi-millionaire in savings over time. Many young people choose to YOLO (You Only Live Once) during their 20s, because that joy of no longer being a student and finally earning money is immeasurable. While it is perfectly fine to reward yourself every now and then, start saving early. Your 20s is the best time to start building up your wealth, before heavier financial commitments like a family set in. Read about what kind of habits you should be developing during this period which will set you in good stead on your financial journey. Don't become one of those people who live paycheck to paycheck without any savings, who end up being stuck in the rat race until they can no longer work. That's quite a sad way to live your life, if you asked me. As you approach your mid to late 20s, be smart about your impending big-ticket expenditures, such as your wedding and house. Based on today's rates, Singaporeans spend too much money on their wedding, but remember that your wedding is just a day whereas your marriage is for a lifetime. I find that there's a better proposal gift than an expensive diamond ring which only loses its value over time, and could even secure your happily-ever-after as you grow old today. 3/4 of your wedding guests will probably not even be there after you've quarrelled with your spouse and want someone to talk to. Don't waste money on a lavish wedding just to impress people who will barely care whether or not your marriage lasts or falls apart. Or why not challenge yourself to keep costs to under $100 per guest? When you buy a house together, don't forget to refinance your home loan / mortgage every 3 years to save on interest payments. The banks compete for our business every year, and we should be smart enough to learn how to use this to our advantage. Start planning and saving for retirement early. There are many ways you can do this, and I've previously shared my thoughts on whether retirement saving plans offered by insurers might be a good way forward. Don't skimp on insurance. Make healthcare insurance your top priority (start with this comprehensive guide I've put together on the types and common misconceptions), and yes, you should still get a Integrated-Shield Plan even if you're already covered by MediShield Life and your employer. Critical illness coverage is a bonus, but if you're not earning a lot right now, here's why I feel CI coverage is not necessary at this stage. I prefer term insurance over life insurance, which have comparable (if not higher) coverages for a fraction of the cost. Buy home and car insurance to protect your assets, too. But don't just buy any insurance plan based on what your agent tells you. Many agents sell policies that earn them a good commission, otherwise how will they get by? Should you buy direct or through your agent, and what are the pros and cons of doing so? If you're savvy enough and know what you want, why not skip the agent commission fees entirely by buying direct? Otherwise, you might just become like this man, whose insurer rejected his claims for $85,000 after he acted on his agent's advice. If I told you there was a way to make your money generate even more money for you, would you be interested? Never depend on a single income; use investing to create a second source of cash-flows for yourself. You'll be able to sit back and just watch your money grow from there. Before you start investing, ask yourself these 10 questions to make sure you're really ready. Then, get started on investing! There are free resources offered by the government and by SGX to help you get started. Many young people in their 20s have the mentality that they don't have enough money to invest in the stock market, but that's not true, because there are options out there that allow you to invest for as little as $100 a month. If you have a higher risk appetite and wish to try forex trading, protect yourself by covering these areas first. Many investors fall into the trap of being lured by stocks offering high dividends. Before you start investing for dividends, make sure you use this simple approach to evade a dividend disaster. Neither should you buy a stock simply because it is at its 52-week low. Remember to do your own due diligence (DYODD). Could investment-linked plans (ILP) be a good way to invest, while getting insurance coverage at the same time? Here's why I think Investment-Linked Plans are a terrible idea. Oh, and while you're mulling on that thought, check out how our insurer's mutual funds have performed in the last 7 years. Nothing fantastic. Most people have their returns eroded by the distribution fees on their investments through a third-party, so you might as well learn to do it yourself. Most importantly, be realistic and have grit. Investing is a lifelong journey. Even famed investors like Warren Buffett and Charlie Munger are still learning, and they're already well in their 80s and 90s, with decades of investing experience to their name! There is no short-cut to success or financial independence. Don't waste (too much) of your money on get-rich-quick schemes or gambling, because your odds of winning are really low to begin with. Buying TOTO or gambling at the casino every now and then is fun, but keep that to a limit. At last! Congrats on making it this far! By now, you should be well in your late 40s to 60s, depending on how soon you started and your skills in navigating the various points in your financial journey. You've successfully generated enough passive income to cover your living expenses, with room to spare, and this will carry on until you leave this world. What's next? You're now free to do whatever you want, without being held back by worries of money or paying your bills. Travel, see the world, do volunteer work, write a book, do whatever you want! You might have already done this while you were on your financial journey, but there's so much more to life! Go out and explore, help the young, guide them and pass on your skills, make a difference to someone else's life, etc. The possibilities are endless, and the world is now your oyster. 2015: Saved $30,000 + settled insurance policies and emergency funds, started a stocks portfolio. 2016: Saved $40,000 + exceeded $100k in net worth milestone. 2017: *to be updated* + successfully pulled off my budget wedding! Follow me on this journey together, and let's work towards a brighter future for ourselves and our loved ones. 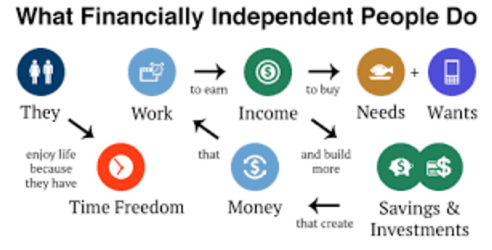 Interesting; financial independence in Singapore is very easy. All you have to do is NOT buy whole/endowment/ILP policy, instead buy term policy as you mentioned in #4 and invest the rest on your own (e.g. thru STI ETF which is at a good price now); while I can't assure you that you will reach $100,000 by age 30, I am confident it will get you closer to the goal. And surely at age 50, this method will put you ahead of your peers. To summarise, just avoid endowment/whole life/ILP in Singapore. Wow Choon Yuan, that's impressive! How did you achieve that much in such a short period of time? My journey started at 22. While my uni peers did internships/summer OCIP, I was working in contract full time jobs,, earning about $1550/month. During Uni term, I was also teaching tuition. The money was channeled for investing. At my 4th year of uni, I realized whole/endowment/ILP policies were not as good as BTIR method and took up 10% of an average person's take home pay. So I forgo it, bought term and invested the rest. In addition, my hobbies of investing and watching animes/K drama are inexpensive hobbies. It allowed me to save a huge proportion of savings. It has also helped that my pay is slightly above ($200+) the university median. The average returns of investing have been about 6.54%p.a in the past 6 years. So through all these, I have amassed this much. Ah I see. So in essence, you followed this roadmap and started young, which put you ahead of your peers and gave you a good headstart. Smart move! If only I had started a few years ago like you did! Do drop me an email, would love to speak more. Hi savvy people! I am also a saver. I just started to learn at 25 yo. I will check with my agent regarding the policies. I see that Budget Babe is slightly ahead of me. Good to learn from each other. Kind of gets exponential over time isn't it? $280k within 6 years is impressive.i believe a large portion of Choon Yuan capital is mainly from giving tuition (most probably more than his contract job) & his saving due to his frugal lifestyle . 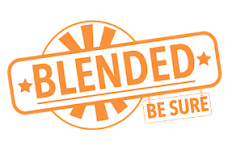 I would like to recommend that you stick with the most recommended Forex broker.